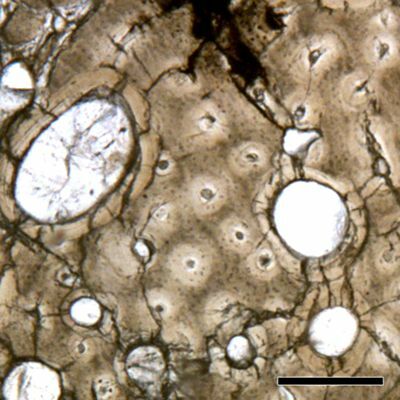 Tibia, image from mid-diaphyseal cross section (inner cortex), transmitted light with a single plane polarizer. Section T2. Scale = 250 Âµm. This image is figure 4B in the associated paper.